Even if only Zimbabwean dictator Robert Mugabe travelled to witness the inauguration of Edgar Lungu as president, foreign affairs minister Harry Kalaba says the region still respects Zambia. The presidents of Namibia and Kenya were supposed to attend inauguration of Lungu but did not show up. But Kalaba says insinuations by the opposition that Zambia’s international relations have been poor under the PF government are misleading. 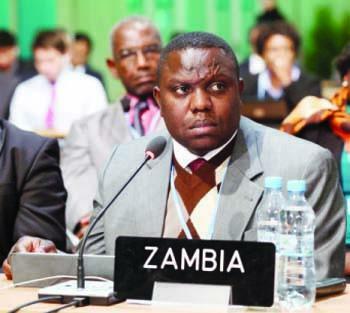 Kalaba argues that all of Zambia’s eight neighbours are in good terms with the country. Kalaba has told QFM News that even during the inauguration ceremony for President Edgar Lungu some international leaders were present, an indication that Zambia’s international relations are good. He says the opposition will not stop insinuating and denting the image of the PF government because they want to be in government. Kalaba says even the people can bear witness that the PF government has maintained good international relations with other countries.